Fayrouz Karawya is an Egyptian singer-songwriter and record producer. She has been a prominent singer in the indie music scene in Egypt for almost 8 years. Her popularity emanates from pushing the boundaries of lyrical content and musical composition, reaching out for a formula bursting with life, diversity and unconventional fusions of music worlds. Fayrouz made her musical debut in 2001 performing a song in the critically and commercially acclaimed movie, “The Secrets of Girls”. Later, in 2007 she started with her band, based in Cairo, series of live concerts to present her music project for Egyptian young audience thriving for innovative contemporary sounds at the time. In 2007 also, Fayrouz was selected to be one of three finalists in Monte-Carlo Doualiya Prize in the Middle East, held in Amman, Jordan. In 2011, she was granted “The Young Arab Creators Grant” by Al Mawred Al Thaqafy, the leading cultural foundation in the Arab World, in the music section. Later in 2012, Fayrouz released her first album “Barra Menny” (Outside of Me). The album was a best-seller in Cairo Virgin Megastore for successive five weeks. In this album, music and lyrics are fresh, light, melancholic; portraying alienation, girls’ views on the world and themselves, sarcasm and even cynicism. Karawya’s love songs address love conflicts and try to give a multi-dimensional picture of vibrant relationships. Her target is to dig deep into the essence of love and emotion, to shed light on untapped potentials, unspoken lines, the fragility of captured small moments and the beauty of being there. Her following mini-album, “Geninet El Insan” (The garden of a Human) released in 2013, presents her take on modern Sufi music. 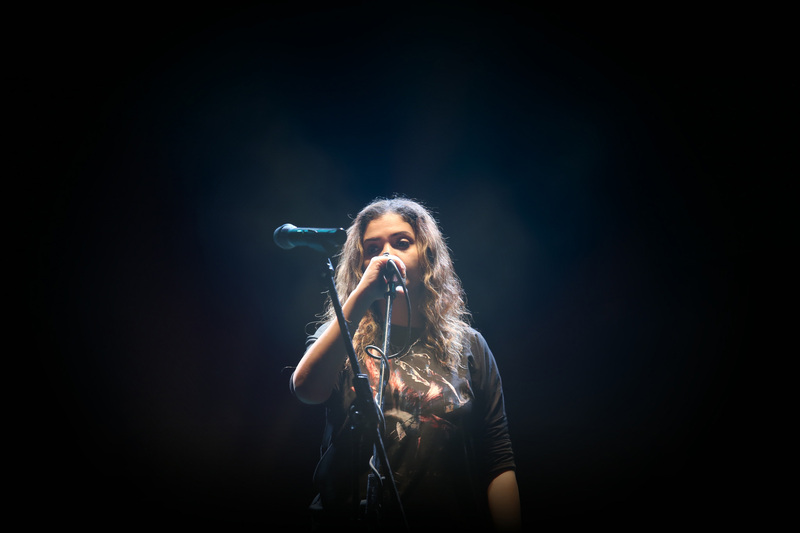 In 2014, she accomplished her third project, “Eskimo”, and her first venture into fusing electronic music with Arabic lyrics and melodies, which was presented in a live concert hosted by D-CAF festival of contemporary arts in Cairo 2014. Karawya was chosen to collaborate with the pronounced American jazz singer KJ Denhert during her tour in Egypt in International Jazz Day; under the auspices of the American Embassy in Cairo. Together they presented two live concerts, and recorded a joint track to be released soon. Fayrouz is releasing her upcoming album this year 2015, “Albak Zeham” (Crowded Heart). This time, she pursues an old dream of introducing African/Middle Eastern music to world music trends. She delves into local music of Egypt, west and southern Africa, re-visiting their inspiring music scales and rich beats, and blending them softly with jazzy arrangements. It is a whole new ground to visit, trying to incarnate the lively experience of a woman of our days in the arms of folk music and the rich heritage of the region. It is an adventure and a quest for liberation, as Karawya calls it. With her band, Fayrouz offers a unique live experience, where tributaries from Egyptian Sha’abi (local music), folk, oriental themes fuse in the realms of Jazz and world music. Keeping their own flavor, they try to connect to every listener, to portray a spectrum of diversified music styles and remarkable tunes. It is there on stage, where you envisage a woman communicating her deepest fears, craziest ideas on love, mixed up feelings and doubts; deliberately and transcendently. Her Afro-Arab struggles, stories and histories are all eminent in her music and voice; strained and yearning for liberation, determined yet cynical, sensual and daring. There, she is standing to give voice to every woman and man; be you, with all the “drama” underlying the word.